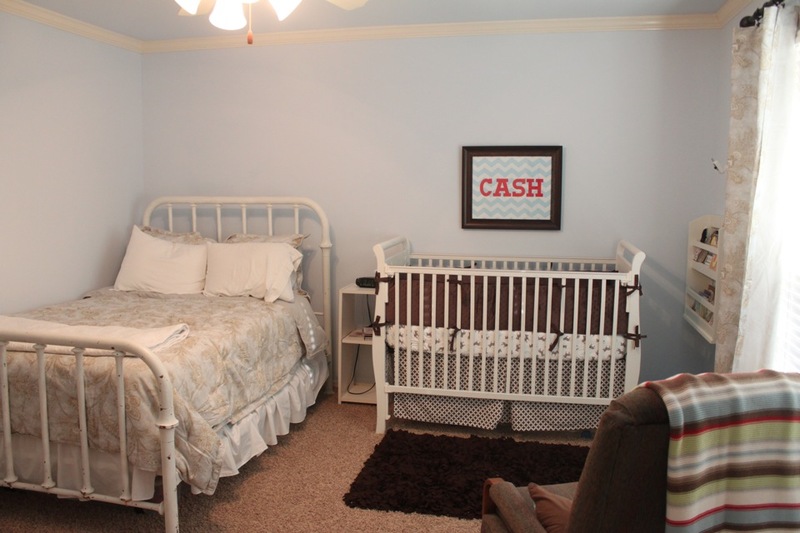 I think we are finally finished with Cash’s nursery! We didn’t do a ton of work in this room… this had been Foster’s nursery so we just left the furniture and wall color and moved the guest bed in. 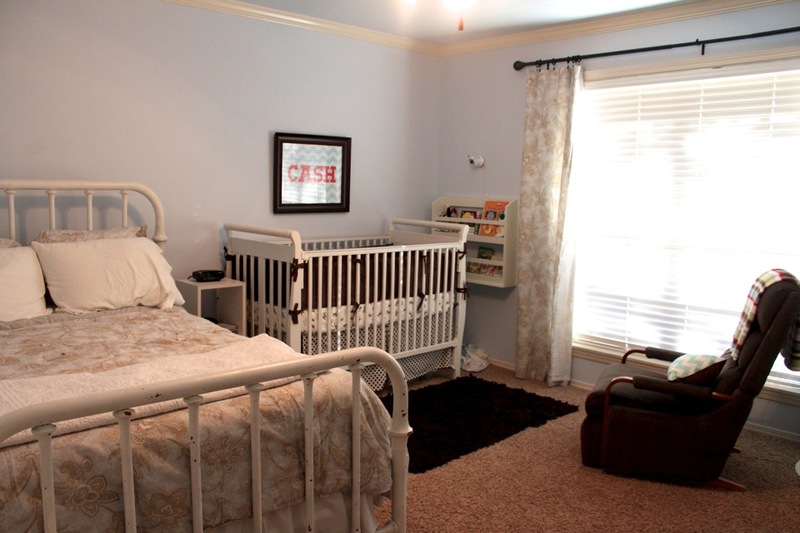 This will now be our guest room/nursery combo! I did change the decor a little bit for Cash. I found the bedskirt and crib sheet at Pottery Barn on clearance and loved it! It’s brown and white zebra and geometric pattern and has aqua blue accents. I tried to find a comforter set for the guest bed that kind of blended with the nursery decor. I will probably add some more accent pillows and wall decor in the coming weeks. 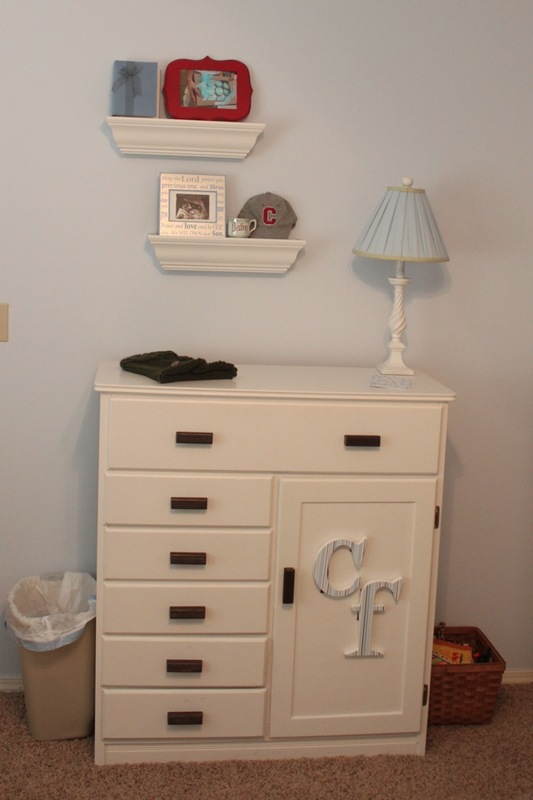 This is the same baby dresser I have used for all 3 kids… it was my Dad’s when he was little and he refinished it for me right before he passed away so it is very special to me. 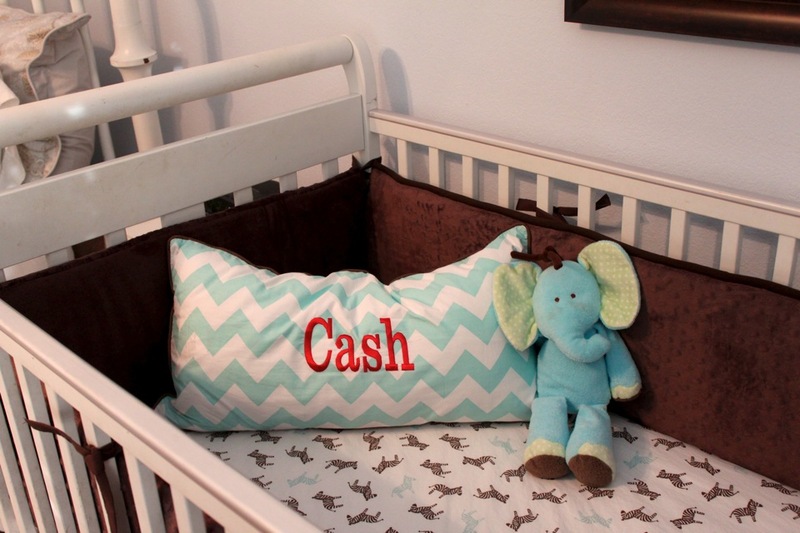 I had my friend, Terra, monogram this sweet pillow for Cash. I love the way it turned out! 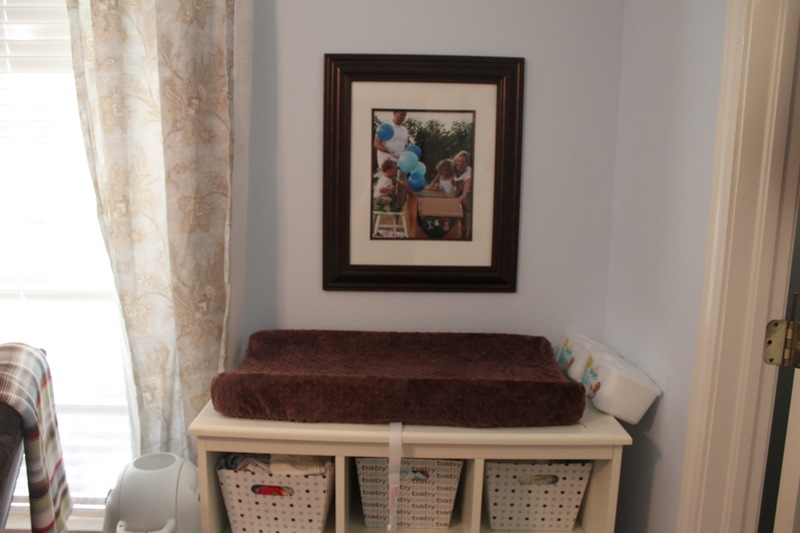 I hung the picture of our kids finding out that Cash was a boy over the changing table- I lhave great memories from the night that Emma and Foster found out they were going to have a little brother. 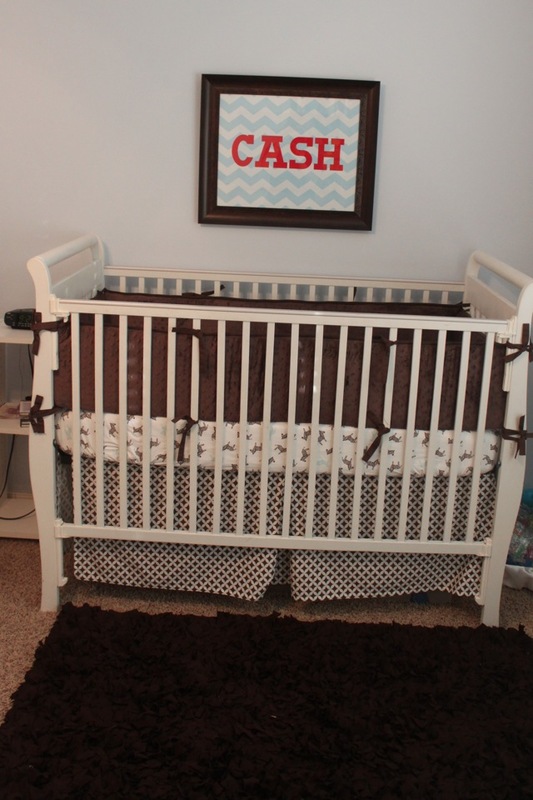 So now the room is complete… the funny thing is I’m sure Cash will sleep in our room for the first month or so! We are patiently waiting for Cash’s arrival. Today I am 39 weeks and 2 days. My Doctor says I could go into labor at any point but just in case we scheduled an induction for Wednesday 12/12/12. 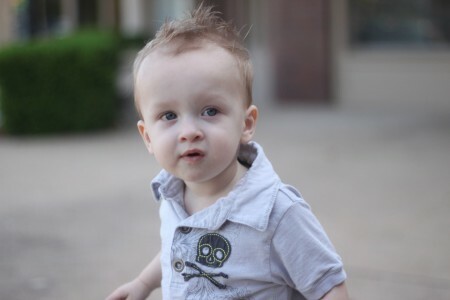 I would LOVE for Cash to have that awesome birthday, but I will be happy with whenever he decided to come! The kids Birthday parties are both complete, 90% of my Christmas shopping is done, now I’m just ready to get to know my new baby boy. 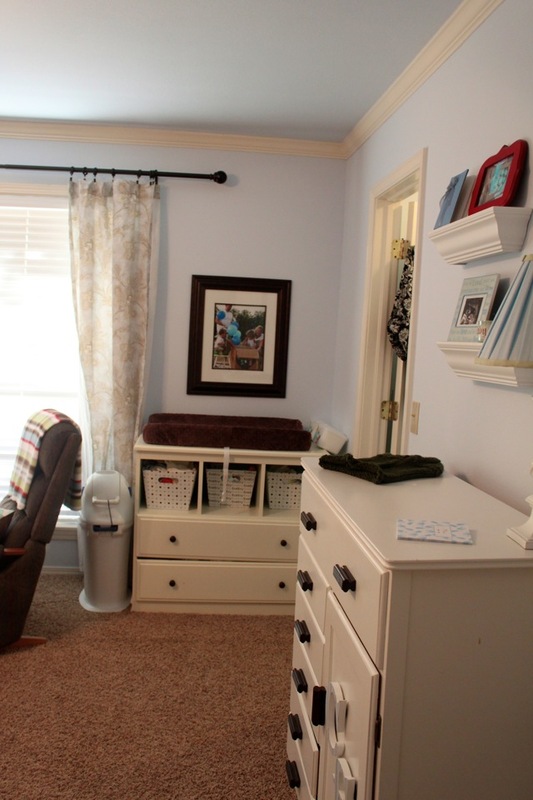 You did a great job on the new nursery! Cash will love it!